Tag Archives for " Captivate: The Science of Succeeding with People "
What if people came with a guide? Well, apparently they do. Understanding human behavior, including body language and posture, is one of the keys to effective communication at every level. 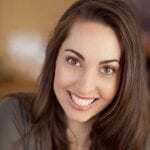 My guest for this week’s episode of the Duct Tape Marketing Podcast is Vanessa Van Edwards. She is a behavioral investigator, author of Captivate: The Science of Succeeding with People, public speaker, and body language trainer. She and I discuss how to figure out what makes people tick, even if you don’t innately have people skills. She is a Huffington Post columnist and Penguin author, and regularly gives keynotes and appears in the media to talk about her research. She has been featured on NPR, the Wall Street Journal, the Today Show and USA Today. What are some best practices to become instantly likable? Where does manipulation play into portraying who you are? How important are the common body language topics people talk about (eye contact, handshake, etc)? Learn more about Vanessa Van Edwards.